Since the 1849 discovery of gold in California, Death Valley has experienced over 130 years of boom and bust mining. From the 1880s to early 1900s mining was limited and sporadic in the Death Valley region. Many of these early mining districts met with a notable lack of success. Primitive and inefficient technology, scarcity of water and fuel, and the difficulties of transportation made it economically impossible to mine any but the highest grade ores. One of the earliest successful mining operations was the Harmony Borax Works, which was active from 1883-1888. This mine was famous not for its ore deposits, but for the Twenty Mule Team wagons used to transport the partially refined borax. A very memorable advertising campaign used the wagon's image to promote the company's Boraxo soap and the Death Valley Days radio and television programs. With renewed interest in gold and silver mining, the early 1900s witnessed mines at Skidoo, Rhyolite, and Keane Wonder become large-scale operations. The boom towns which sprang up around these mines flourished during the first decade of the 20th century but soon slowed down after the panic of 1907. Besides gold and silver, prospectors scoured the mountains for antimony, copper, lead, zinc, and tungsten. Prosperous large scale metal mining in Death Valley ended around 1915. In February of 1933 President Herbert Hoover signed the proclamation creating Death Valley National Monument, which resulted in a temporary closing of the lands to prospecting and mining. However, by prior agreement, Death Valley was quickly reopened to mining by Congressional action in June of the same year. As improvements in mining technology allowed lower grades of ore to be processed and new heavy equipment allowed greater amounts of rock to be moved, mining in Death Valley changed. Gone were the days of the "single-blanket, jackass prospector" long associated with the romantic west. Open pit and strip mines scarred the landscape as internationally-owned mining corporations bought claims in highly visible locations of the national monument. The public outcry that ensued led to greater protection for all national park areas. Congress passed the Mining in the Parks Act in 1976 which closed Death Valley National Monument to the filing of new mining claims, banned open-pit mining and required the National Park Service to examine the validity of tens of thousands of pre-1976 mining claims. Mining was allowed to resume on a limited basis in 1980 with stricter environmental standards. Death Valley National Park was established in 1994, adding 1.3 million acres to the old monument lands and jurisdiction over additional valid mining claims. The park's Resources Management Division monitors mining within park boundaries and continues to review the status of 125 unpatented mining claims and 19 patented claim groups, while insuring that federal guidelines are followed and the park's resources are being protected. 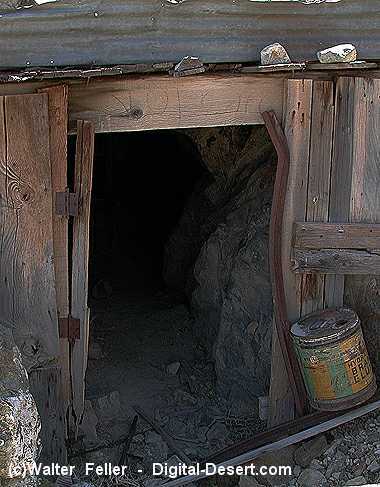 Currently, the only active mining operation in Death Valley National Park is the Billie Mine, an underground borax mine located along the road to Dante's View.